Filter water becomes necessary when tap water quality is not good enough. Tap water quality is generally considered safe as it come from pubic water system and usually maintain a regulatory health standard. But for some countries, specially some developing ones, not all the municipalities can conform to this regulatory health standards. Also, public water system can get contaminated as well by harmful microorganisms (E. coli, Cryptosporidium etc.) or chemicals getting (Lead, pesticides etc.) into it via broken piping system. As a result, the tap water quality may not be that high standards and can be harmful, specially to vulnerable and sensitive population. Sometimes, the tap or well water is safe enough to drink, but it has some odor, taste or smell in it that make it undesirable. This type of filter is effective for removing organic contaminants, taste and odor. This filter may also be effective to remove residual disinfectant like chlorine and chlorine by products as well as other solvents and pesticides. The two principal mechanisms by which Activated carbon removes contaminants from water by using two main principals - adsorption and catalytic reduction. Organic contaminants are removed by adsorption and residual disinfectants are removed by catalytic reduction. Ion-exchange filter percolates water through spherical, porous bead resin materials while ions in the water are exchanged for other ions fixed to the beads. The two most common ion-exchange methods are softening and deionization. Softening is used primarily to reduce water hardness. This filter is effective to remove minerals like calcium and magnesium. This type of filter is often use in combination with activated carbon and reverse osmosis filter. Reverse osmosis or RO filter is known as ultimate water purification technology. 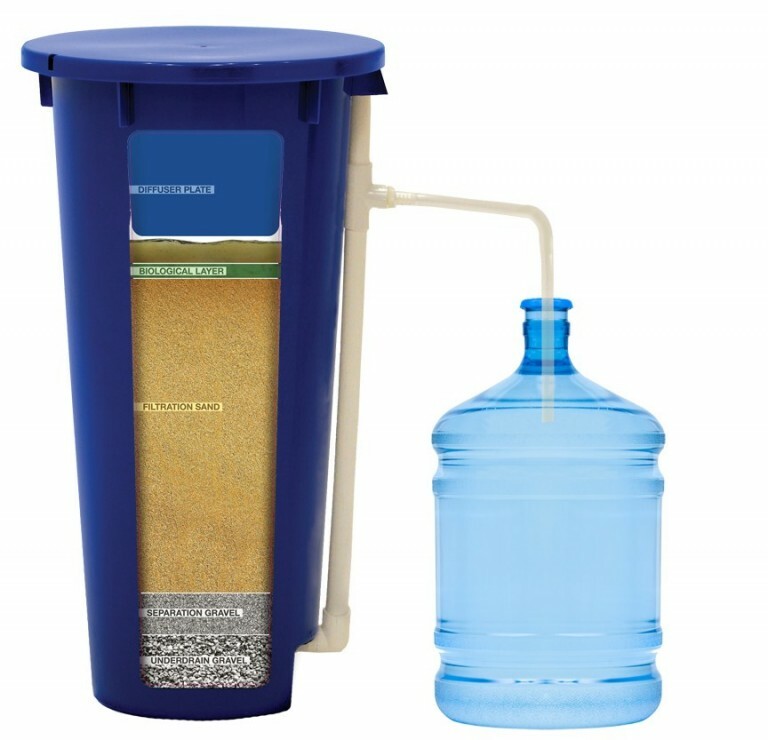 while reverse osmosis water filters will remove a wide spectrum of contaminants such as dissolved salts, Lead, Mercury, Calcium, Iron, Asbestos and Cysts, it will not remove some pesticides, solvents and volatile organic chemicals (VOCs) like Chlorine, Radon, trihalomethanes and some certain pesticides. But if used along with activated carbon filter together they can remove a wide variety of contaminants. This technology first heats water to vaporize it and then condenses it back into water. The process removes minerals, bacteria, viruses and chemicals that have a higher boiling point than water. But unfortunately, this process cannot remove chemicals like chlorine, trihalomethanes or volatile organic chemicals (VOCs). Mechanical filters are physical filters with small holes that remove contaminants such as cysts and sediments. They are often used in conjunction with other kinds of technologies, but sometimes are used alone. They cannot remove chemical contaminants. But no matter what filter system is chosen, it needs to be maintained properly as with time contaminants accumulate on the filter. After certain period using that filter may produce worse quality water than the original unfiltered one. That is why it is crucial to replace water filter as per the manufacturer guideline.